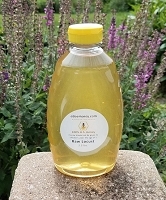 Raw Buckwheat Honey in a 6 oz. hexagon jar. 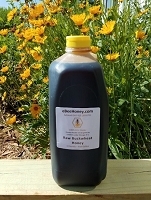 Raw buckwheat honey in a 4 oz. hexagon jar. A 4 oz. jar holds 6 oz. of honey - (honey is 1.5 more dense than water and jars are measured on the density of water), so you will get 6 oz. of honey. This honey tastes unconventionally good but I brought this for my skin care and hair as well, considering this was the best honey eBeeHoney offered. Leaves my face and hair soft. It has a dark amber colour and malty flavour. It really tastes like nothing else… sweet and earthy at the same time. It’s also high in antioxidants – darker honeys tend to have a great concentration of antioxidants and nutrients.I love all sorts of honey even honey from Australia. This is a fine buckwheat honey and shipped very quickly. The taste is delicious, quite a dark honey with that taste of molasses, really yummy. Bought this honey for my husband as he is a big fan of it and is quite hard to find. He tasted it and is very pleased with it. This honey has a distinctive strong flavor which he really likes ! Received the order of 2 jars REALLY FAST - seemed like it was only several days after I ordered it. It will last him a long time, but will order more from you folks when he needs it. Thanks for a good product and great service ! The Buckwheat Honey is great, I would never order anything else. I have been 0rdering this for a long time. Thanks for having it to buy!!! The shipping was super fast!!! 1-2 days and it was at my door! I'll definitely be buying more when I'm finished with these! This honey is so so good! This Buckwheat honey is excellent. i highly recommended. Buckwheat nutrients are highly rated. 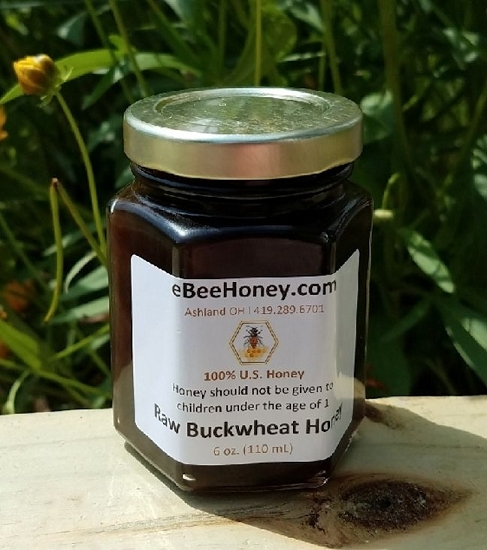 The buckwheat honey has a very nice flavor...stronger than regular but not too overwhelming....a welcome change up to my usually wildflower! Not only was the honey wonderful but it came quickly and i was not overcharged for shipping the way all others want to do. Thank you!